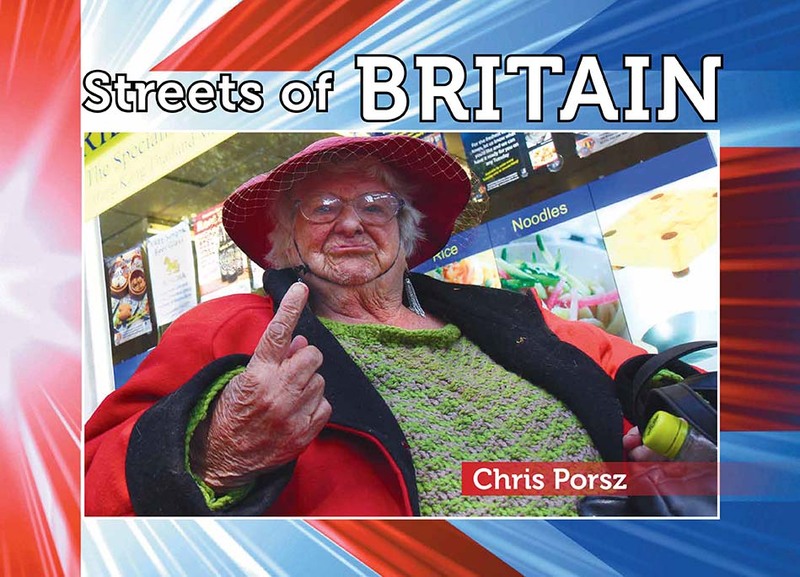 Streets of Britain sees Chris Porsz back on home turf after the success of last year's Street of Europe. In this beautiful 352-page hard-backed book you will enjoy London, Leicester, Manchester, Belfast and, of course, Peterborough, plus many other great British cities, all captured in Chris's own special style of street photography. You can order online now. Just select your postal region for the price including postage and packing from the order menu below. PUBLISHED in December 2017, Chris Porsz's third book shows us the great European cities of Copenhagen, Amsterdam, Barcelona, Berlin, Brussels, Budapest, Lisbon, Oslo, Paris, Prague, Riga, Rome, Venice, Vienna, Warsaw, Zurich, Cardiff, Dublin, Edinburgh and London. Streets of Europe costs £14 including postage and packing in the UK. Use the drop down form below to select your postal region to buy online. ​One copy of Reunions sent to a UK address costs £16.50. One copy of Reunions sent to an address in Europe costs £24.00. One copy of Reunions sent to an address in the rest of the world (excluding Australia/New Zealand) costs £35.00. One copy of Reunions sent to an address in Australia/NZ costs £36.00. Simply choose your postal region from the drop-down menu and click 'Buy now'. You don't have to have a PayPal account to pay with PayPal. ​REUNIONS by Chris Porsz is unique. Chris has spent the last few years tracking down hundreds of the amazing people he photographed in the 1970s, 80s and 90s. Some were easy, some were hard, some were impossible to find. When he was successful, Chris arranged a reunion at the location of the original photograph and took another picture. This book is an incredible collection of those pairs of photographs with text from writer Jo Riley telling the stories of the people in the photos. This wonderful book is now available to order. Please allow up to one week for delivery. New towns brought social and cultural changes to England in the 1970s and 1980s that were every bit as radical and challenging as the austerity of the 1950s and the Swinging Sixties. 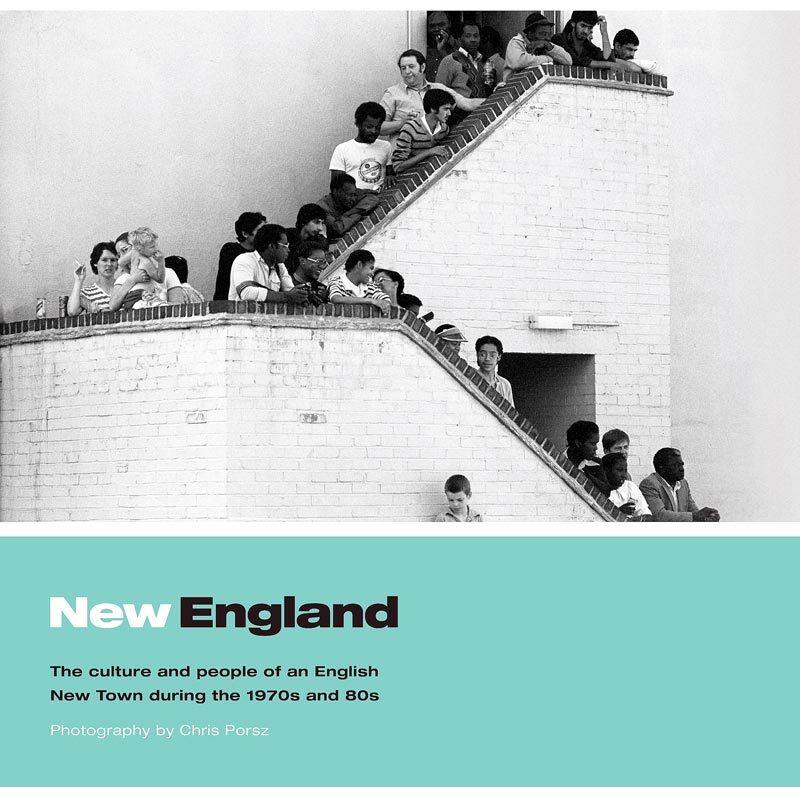 Chris Porsz took to the streets with his camera and captured the changing face and faces of a ‘new town’ during those turbulent years and New England is a collection of 170 of his powerful images. These compelling photographs reveal the resignation and resilience in the faces of people coming to terms with the promised opportunities and harsh realities of life in a new town during an often overlooked era. Here are the postage and packing charges. If you are in the UK your book will be posted to you for just £12.50. If you are overseas you can get the book from £19.00 including postage. To get your copy, simply choose your postal area from the menu below and then click the 'Buy Now' button. Everything is handled by PayPal and you don't even have to have a PayPal account. * UK online exclusive. See below for overseas orders. The total price for the book plus UK postage and packing is £12.50. Choose UK and click the 'Buy Now' button below to enter your delivery details and arrange payment. Postage to Australia or New Zealand costs £25.00 in total. Choose Australia/New Zealand and click 'Buy Now' to start your book's amazing journey. The total price for the book plus European postage and packing is £19.00. Choose Europe and click the 'Buy Now' button below to enter your delivery details and arrange payment. Posting the book to the rest of the world costs £24.00 in total. Choose 'rest of world' and click the 'Buy Now' button below to enter your delivery details and arrange payment. If you have any questions or comments, please contact Chris Porsz directly by clicking here.